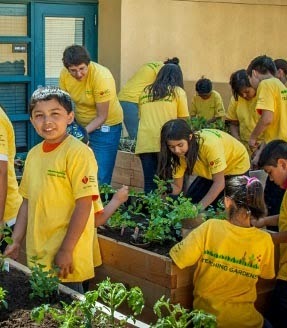 American Heart Association (AHA) Teaching Gardens are flourishing in Orange County, teaching young students to plant seeds, nurture growing plants, harvest food and, ultimately, understand the value of creating opportunities for healthy eating choices. Twelve schools in Santa Ana and Garden Grove are now part of the program. 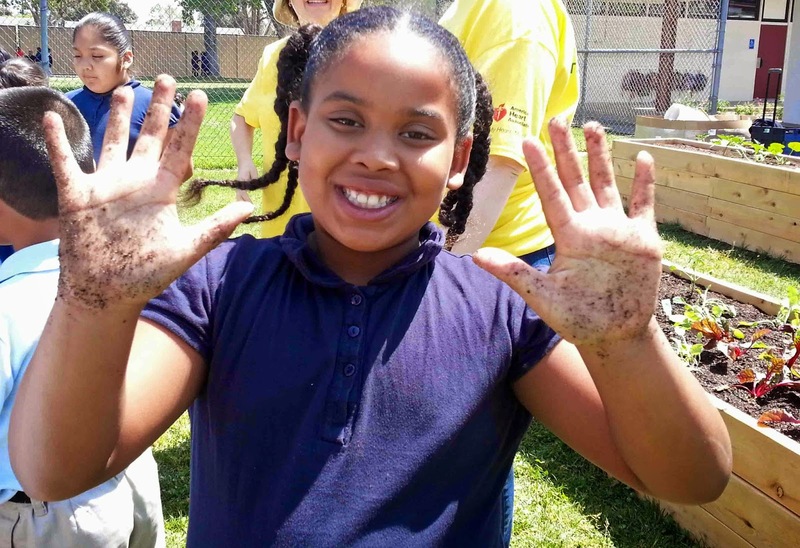 Kids got their hands dirty in Agromin soil recently while planting all sorts of vegetables. One of three American children is overweight or obese. 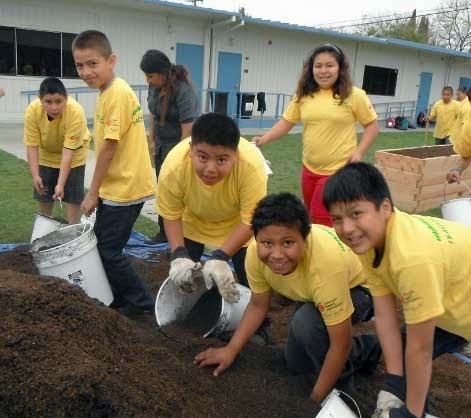 Through the Teaching Gardens, children and families in underserved communities in Orange County are learning to grow fresh fruits and vegetables, prepare healthy meals and make better choices to improve their health and quality of life. Each school is funded for three years during which they are prepared to be self-sufficient to maintain a sustainable garden. 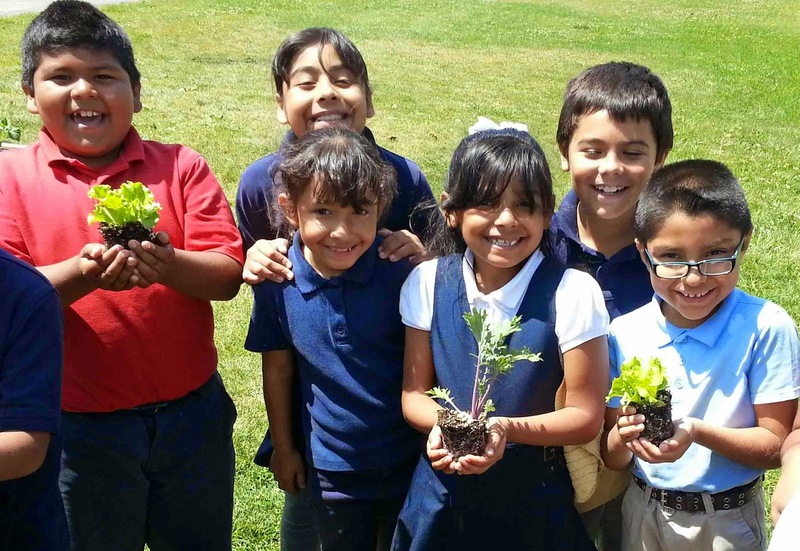 Teaching Garden curriculum includes 35 national standards-based lesson plans that include health, science and environmental studies. Agromin is happy to support the efforts of AHA by providing our Premium Soil Blend to each of the schools.